When you’re having guests over – especially if they’re coming over for the first time or they are sleeping over – it can be very stressful. But with just a few tips and tricks you’ll be the perfect host! Here are just a few ways in which you can make your guests’ stay extra special. It may seem a no-brainer, but tidying up is usually what takes the longest when it comes to getting ready for guests. 1. Focus on the most important parts of the house – the bathroom(s), kitchen, living room and the guest room (if they are staying over). 2. You should also air out the house before your guests show up, or use one of these tips to get your home smelling divine. 3. If your teenager’s room looks like a tornado swept through it, you can ask them to do their part, but don’t sweat it if their room isn’t spotless. We’ve all been there! 4. The same goes for the odd toy that is not in the toy box. Legos can be lethal to bare feet, but your children should be allowed to play in the playroom or living area before guests come (just maybe not with Legos!). You’re having guests over to your home, not a static show house, after all. 5. While you don’t have to have a whole night of games and activities planned (unless it’s game night) have something in mind that you can do when guests come over. If kids are coming along, “something to do” is very important – and shouldn’t begin and end at TV and video games. 6. Of course, if you just want to sit and relax and catch up with an old friend, all you need to have at hand is some drinks and snacks and maybe a little relaxing music! Either way, do some planning before your guests show up. This will take pressure off you while also making them feel more at home. 7. Whether it’s your guests’ favorite tea or G&T, having their favorite drink available when they come to visit is always a treat! Add to the tea some home baked cookies, and you’ll be on the shortlist of best hostess for the year without a doubt! 8. If your guests are staying for dinner, however, plan the meal ahead as this will give you time to find out what they do and don’t eat and — even more important — if they have any food allergies! 9. Should your guests have any dietary needs that you’re unsure of; for instance when something is or isn’t kosher, halaal or even vegan, don’t be shy to ask them. Most people do not mind giving details and helping with a menu. And it’s a lot easier than having them show up and not being able to eat anything on the table! Now you can really have fun turning a normal guest room (or even study that doubles as a guest room) into a haven for your guests. 10. Clean, fresh sheets are a non-negotiable. Also make sure that there is water available in the room. Add a few boiled sweets if you like and a small chocolate on the pillow before they go to bed is always a welcome sight! 11. Fluffy towels is a must for guests. You can also keep the toiletries from stays at hotels and have them ready for your guests to use. If you like, you can get travel-size toiletries and a new toothbrush ready. 12. An extra blanket should also be provided even if it is not particularly cold, as your guests may get cold during the night and won’t want to wake you for a blanket — or rummage through your closets for one. 14. As a final touch, add some flowers or a small potted plant that they can take home afterwards. Even a single rose from the garden (or your neighbor’s garden, just saying) is very special. If you don’t want to use flowers to scent the room, a nice scented candle or diffuser will also work. 15. Try to also have an extra phone charger available for your guests to use to charge their phones. 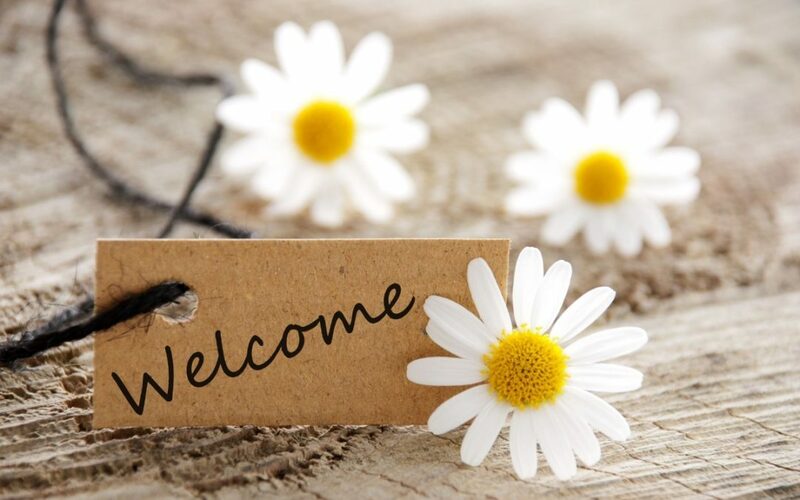 There are many ways of making your guests feel more welcome in your home. Ranging from upgrading the design and decor of your welcoming space to thinking about small things like accessibility of WiFI password or a nice book.